This post contains affiliate links. I may get a small commission from items that you purchase through my links. Thanks! Hello, hello my friends! Last year I bought myself a Silhouette Cameo for Christmas. I had been waiting a long time to purchase a new cutting machine and finally pulled the trigger during a Black Friday sale. Honestly, I have been having a blast with this machine ever since!! 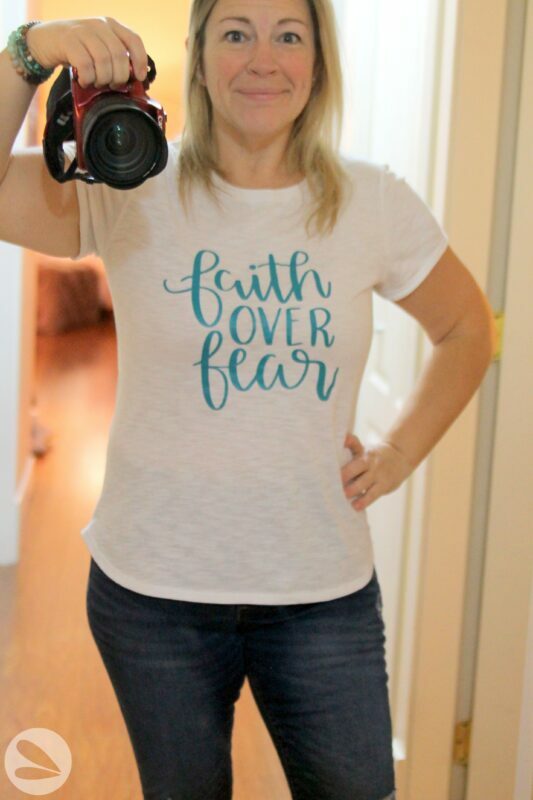 This Faith Over Fear T-shirt is my latest and most favorite project so far..
Every year we are encouraged to think of three prayers that we want to focus on for the new year. Our church community participates in 21 days of prayer and fasting in January which really helps to solidify these requests. 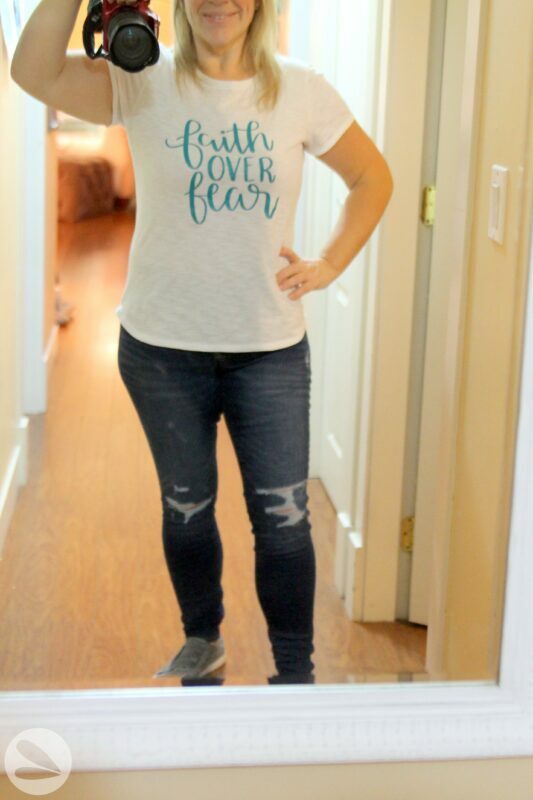 Putting faith over fear came to mind for me immediately. I have been so blessed throughout life and on this journey but I can sometimes let my brain get the best of me. I really want to focus on trusting God’s plan for my life and not be held back by overthinking. 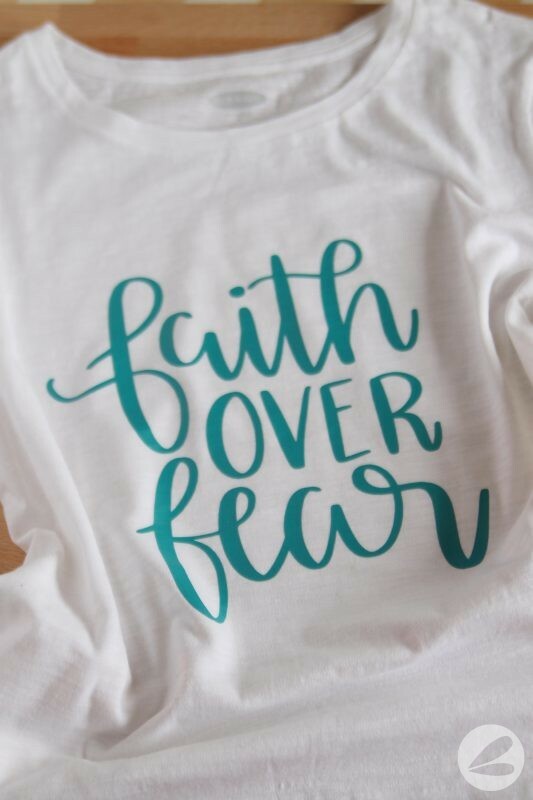 So when I found this Faith Over Fear image on SVG Love, I knew immediately that I needed to create a t-shirt of my own. 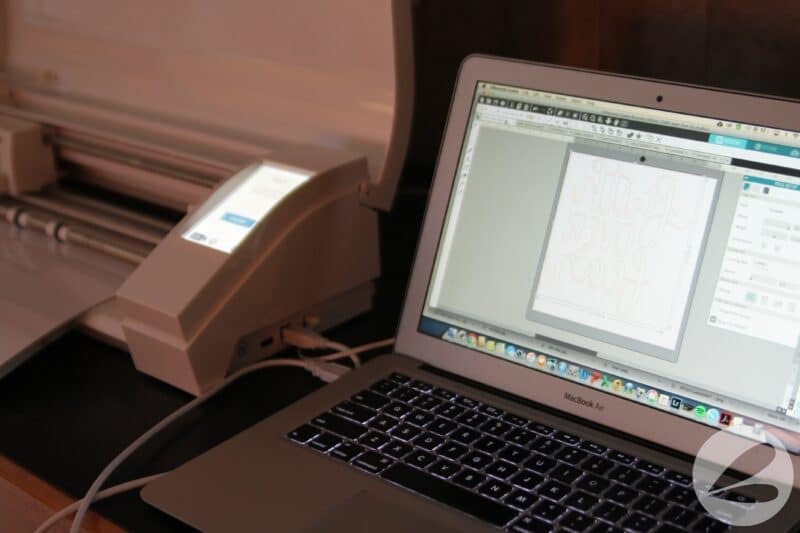 Upload the image you want to cut to the Silhouette Studio software. Use the software to enlarge, edit and flip the image. 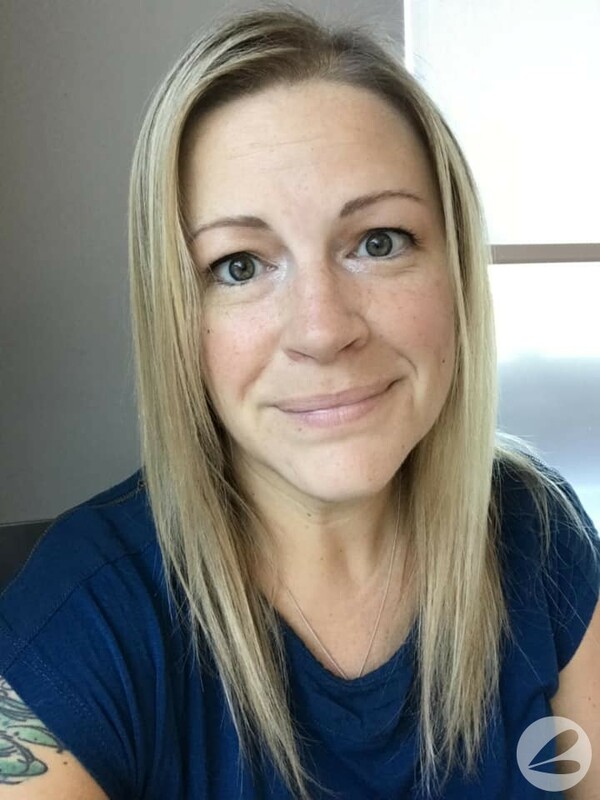 Images that are going to be printed onto heat transfer vinyl (HTV) must be flipped so that the text can be cut and ironed onto the t-shirt facing the correct way. Cut the image out of HTV using the Silhouette Cameo (or similar cutting machine). Weed the excess vinyl from the image using the Silhouette weeding tool. Place the image onto the t-shirt with the sticky carrier sheet facing down. Double check that your image is facing the right way. Cover the carrier sheet with a large piece of parchment paper or cotton cloth. Press with an iron (I use this Iron from Black & Decker), set to high heat with zero steam, for 15 – 30 seconds. 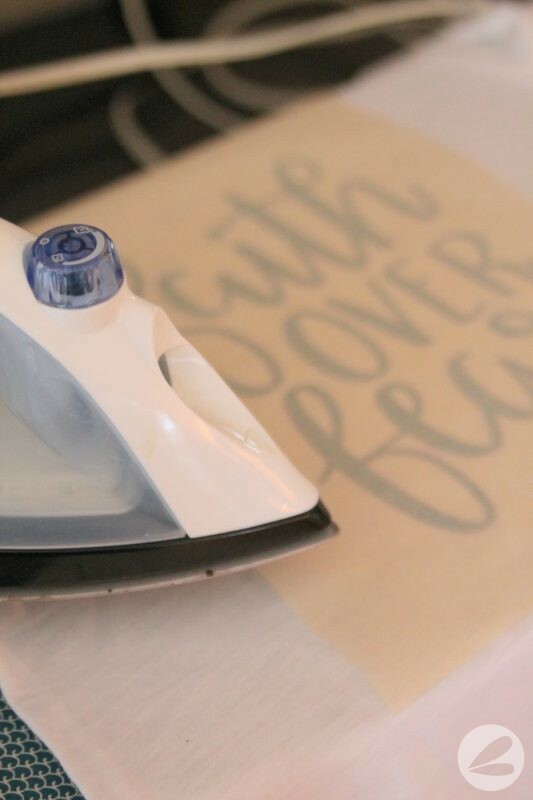 Move the iron around the image applying firm pressure until it is set. Peel the carrier sheet off and you’re all done! I simply opened the image in my Silhouette design studio, resized it to fit my t-shirt and flipped the image before cutting onto heat transfer vinyl. 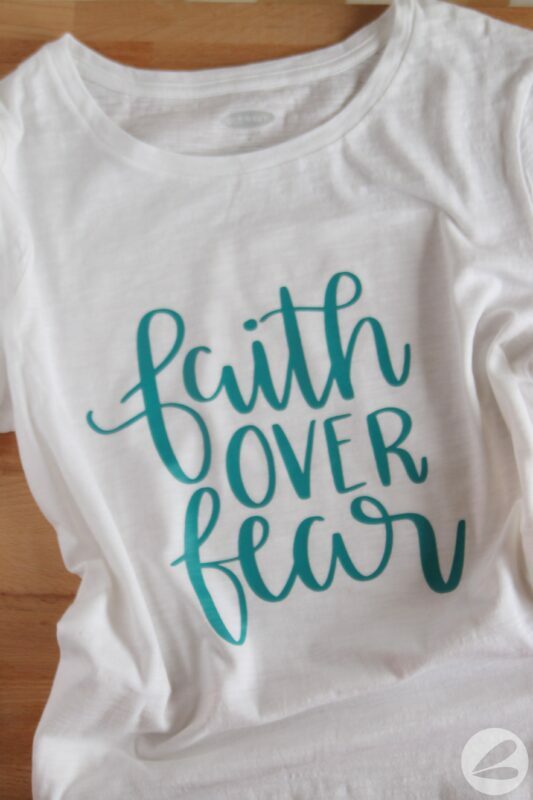 After cutting the image, I weeded out the extra vinyl and centred “faith over fear” onto my tshirt. Then I covered it with parchment paper and ironed the image onto my t-shirt. Easy peasy! Quick. Projects like this t-shirt are fast to create! 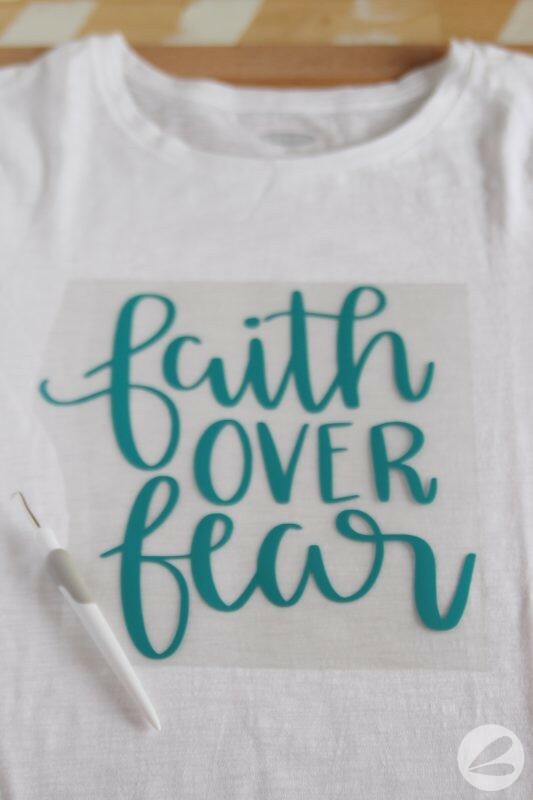 This Faith Over Fear T-shirt took less than 30 minutes to make from start to finish. Easy. The design software is an absolute dream to work with! 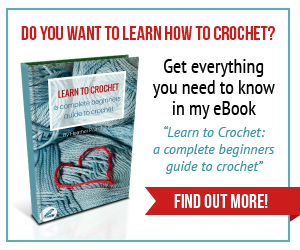 After a quick tutorial I have been able to navigate the software and create my own, personalized designs with little effort. Creative. The project possibilities are endless with this machine! I cannot wait to create more t-shirts, signs and personalize all. the. things.